Moscow Bans Pride For 100 Years - Joe.My.God. A Moscow court has banned gay pride events for the next hundred years. 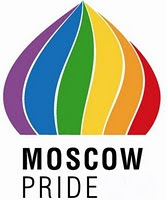 Tverskoy district court ruled lawful the decision of the Moscow municipal government to ban public events that can be qualified as gay parades from March 2012 till May 2112. Nikolay Alekseyev, one of the leaders of the Russian LGBT community and organizer of gay pride events, told reporters that he intended to appeal the decision in the Moscow City Court Presidium, and that if the highest Russian instance also rules against him, to address the European Court of Human Rights. Alekseyev explained to the reporters that in 2011, the activists found a loophole in Russian legislation and submitted requests for 102 gay pride parades to the Moscow Mayor’s office. According to the activist, all they got in return was a letter with a quote from regulations, although the law obliges the city authorities to either allow or ban the planned event within 15 days.